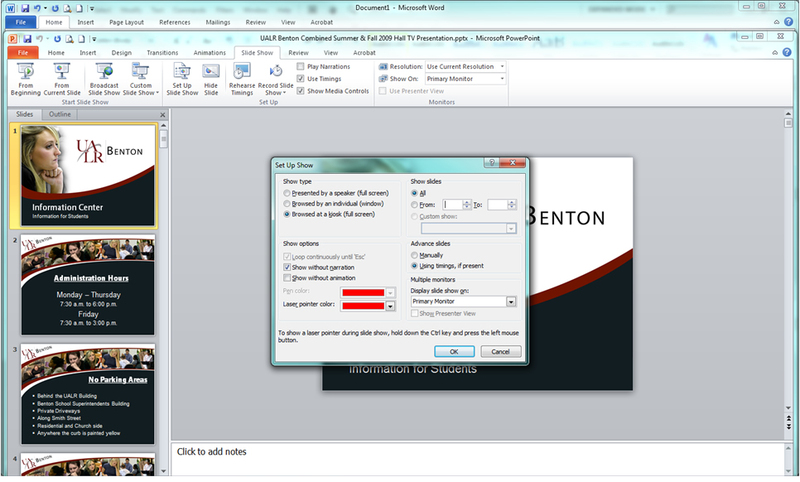 While working at the UALR Benton Campus, I learned how to make PowerPoint presentations to be displayed on a kiosk tv monitor with timed slide show settings enabled. The above screen shot illustrates the slide show screen options. The above screen shot illustrates the slide show set up menu options. Since at UALR Benton we would display this PowerPoint as a slide show on a television inside of a kiosk cabinet we would set the show type to be Browsed at a kiosk, full screen. The Show Options as Show without narration. To show all slides while advancing the slides using timings set to 20 seconds. 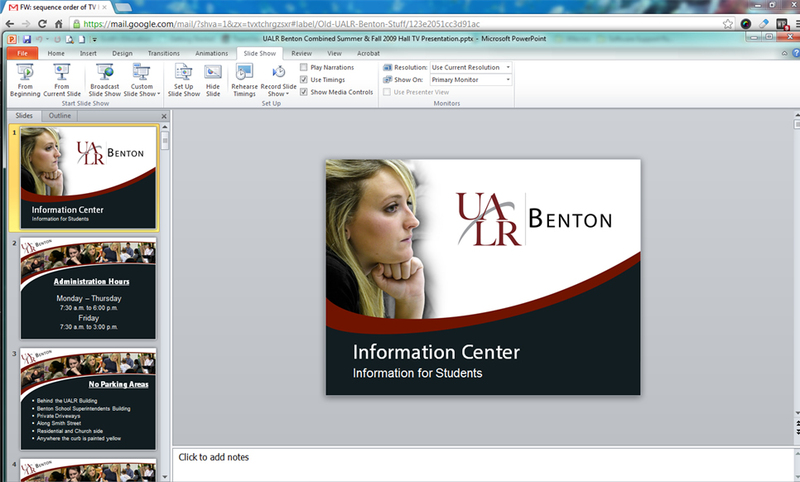 This method worked out well to show the important information relevant to the students attending the UALR Benton Campus.